Last week we visited Windsor Castle, which is well worth seeing. However, today I plan on talking about a pub I discovered near the castle. 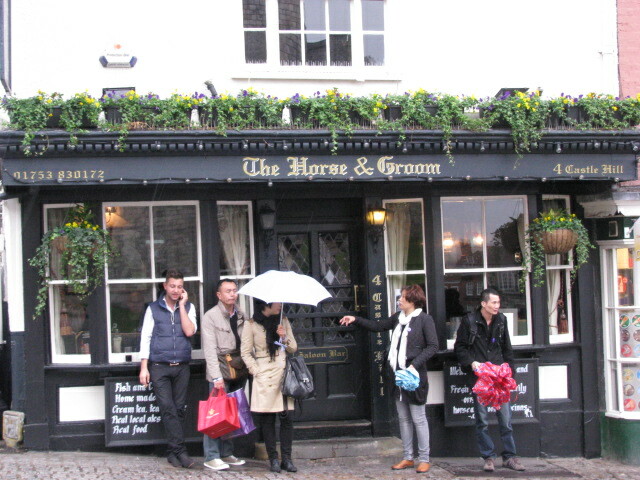 The Horse & Groom wasn’t hard to find since it’s located next to the exit of Windsor Castle. According to historical records, a pub opened on this spot in 1719. Some suspect that the pub, which was originally called the Lower Rose & Crown, opened its doors before this date, but no records were kept. At one point there was a passage that led from the pub to the castle, however this has been filled in. 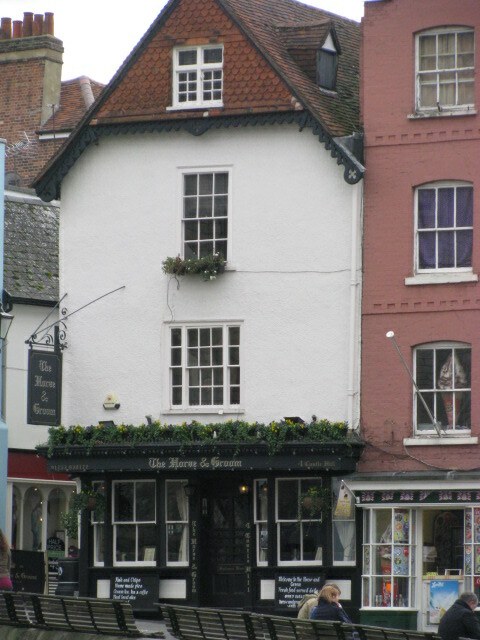 The name of the pub changed to the Horse & Groom in 1792. When I sat in this pub I felt surrounded by history. 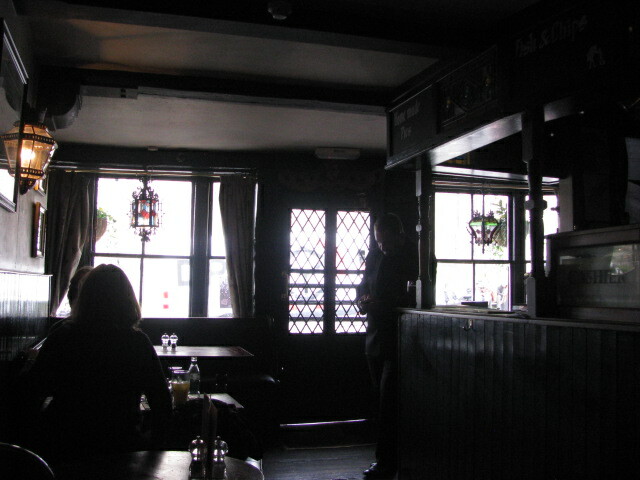 The dark wood, dim lighting, and quaint windows added to the ambiance While I enjoyed a couple of pints and a delicious meal I watched countless tourists going to the castle. I don’t often get a chance to sit in a pub that has front row seats to a castle. For a history lover, this was a perfect afternoon. It even rained while I was nestled inside this cozy pub. As for the food and service, I can’t complain one bit. The waitress and bartender were attentive, funny, and charming. The meals were classic pub meals. I had sausage and mash and the better half enjoyed steak with peppercorn sauce. We both agree that the food at this pub is the best we’ve had in any pub in England. Rating this pub is easy folks. I give it 5 out of 5 stars. When we settled our bill we were a little sad to leave. The next day the better half suggested that we go back. We didn’t, but we will. Incidentally, I have given another pub a 5 star rating. 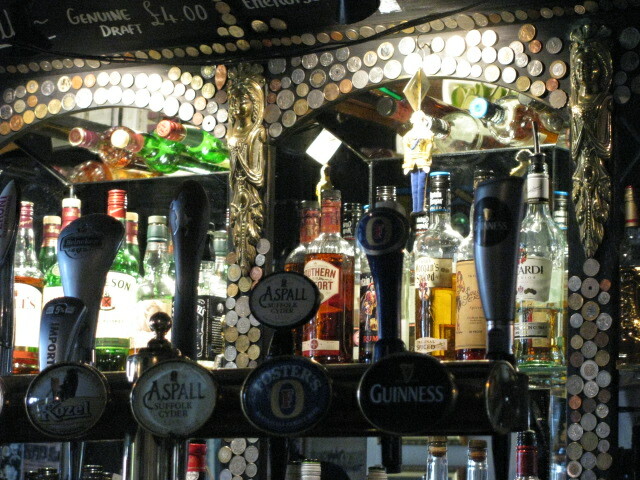 It’s located in Kensington, London and its name is Windsor Castle Pub. Coincidence? 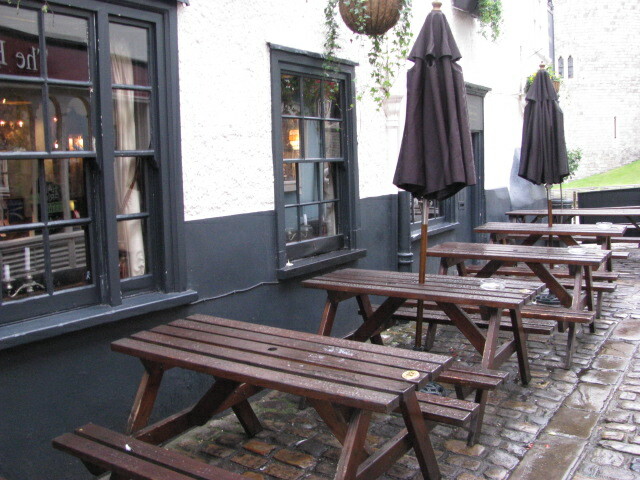 This entry was posted in Pub of the Week and tagged 50 Year Project, Berkshire, Castles, England, English History, English Landmarks, English Pubs, Life, London, Photography, Photos, Pub of the Week, Pub Reviews, Travel, Travel Blog, Travel Journal, Travel Photos, Windsor, Windsor Castle. Bookmark the permalink. I’m not sure, but I can always hope! Sounds like you had fun though. What a great pub! We loved seeing Windsor Castle too. I have fond memories of the bookstore across from the castle, but wish we had stopped in the pub too. I do believe, TBM, that you need to go an a quest to visit and photograph and review every pub in London and its outskirts! Wouldn’t that be awesome? Windsor is wonderful, isn’t it? I ended up there completely by accident. I got lost. Wrong train combo. I don’t remember where I ate that day, but it wasn’t where, apparently, I should have. Not a bad place to end up in…even if it was by accident. Cool pub! I almost wish I drank… Almost! You don’t have to drink to enjoy a pub. Tea, coffee, soda, water…doesn’t matter. all you need to do is soak it all in. I wouldn’t mind having a passage way from our house to a pub! Cool photos of a cozy looking place! Nothing like finding an unexpected gem! I post a new review every Friday…I love Fridays. Will put this on my list of places to have lunch in London, sounds great! 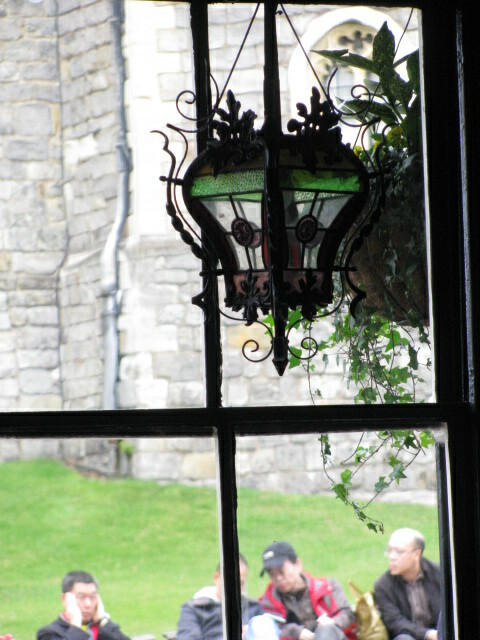 I hope to get back to visit Windsor Castle again soon. Thanks for the tip on the pub. That’s on the list too of places to visit.